Cleaning and sanitizing travertine with our patented process. Take your travertine back to that sanitized healthy stone look that once glistened across the room. 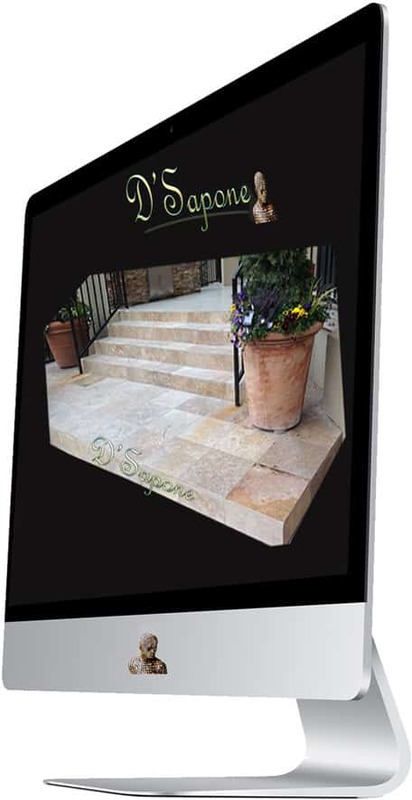 From the way it shines to the way it looks, D'Sapone® will bring an incredible cleanliness to your stone. It’s an essential part of who you are. Titanium sealed grout that never stains. Accent your travertine by choosing the correct grout color from over 40 different colors of Caponi® – a pigmented 2 part titanium resin sealer. Not only does this make your grout look brand new, we also warranty your grout will not stain for 5 years. Permanently travertine holes and pits. 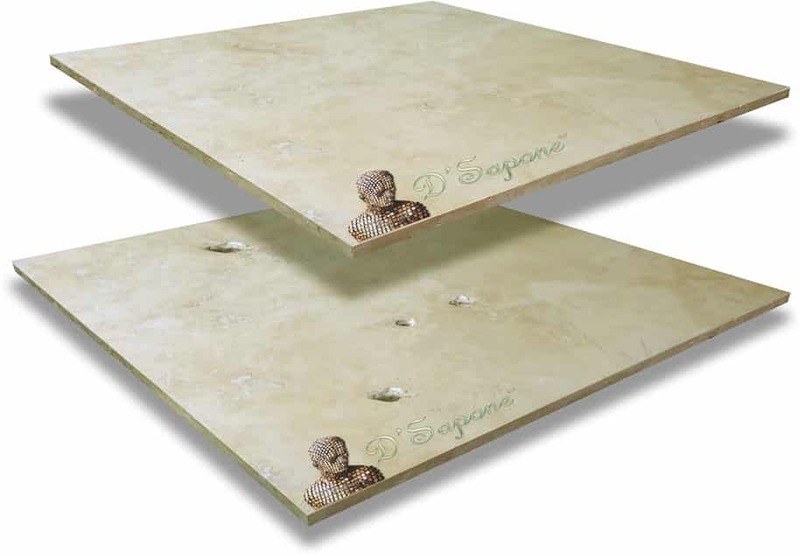 Cracks in travertine are a burden and if not taken care of, the crack will get worse. Our artists fill, color match, polish and blend the crack into the stone. 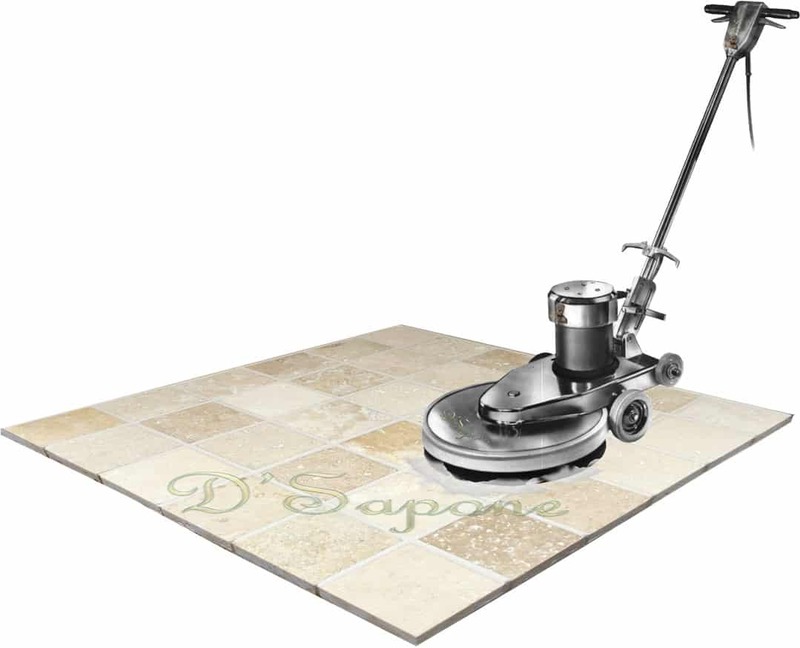 Experience a fresh new looking floor without replacing the stone. Preventing stains without the sheen. 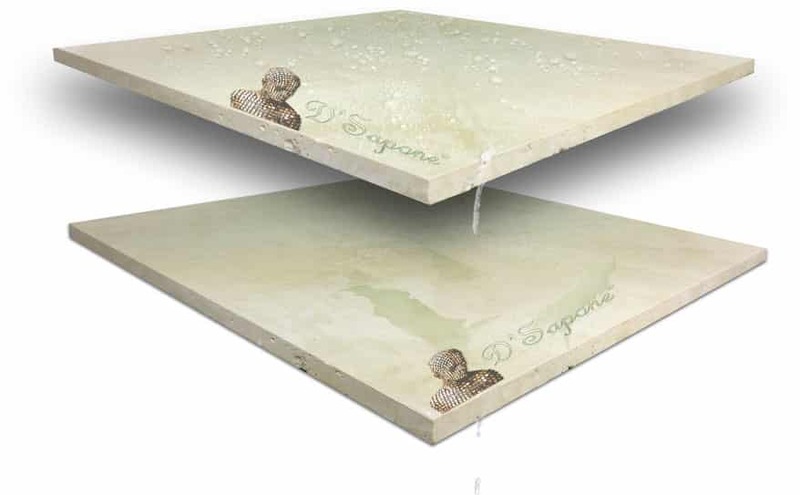 After your travertine has been cleaned, our artist will seal the stone with Repela-Bond – a clear invisible sealer. Upgrading to a clear solvent topical (Celine) or stone polishing service is available with our travertine restoration process. Celine – a clear resin topical sealant, which is the most durable stone sealer on the market, prevents further staining and adds a refined elegance to the surface. 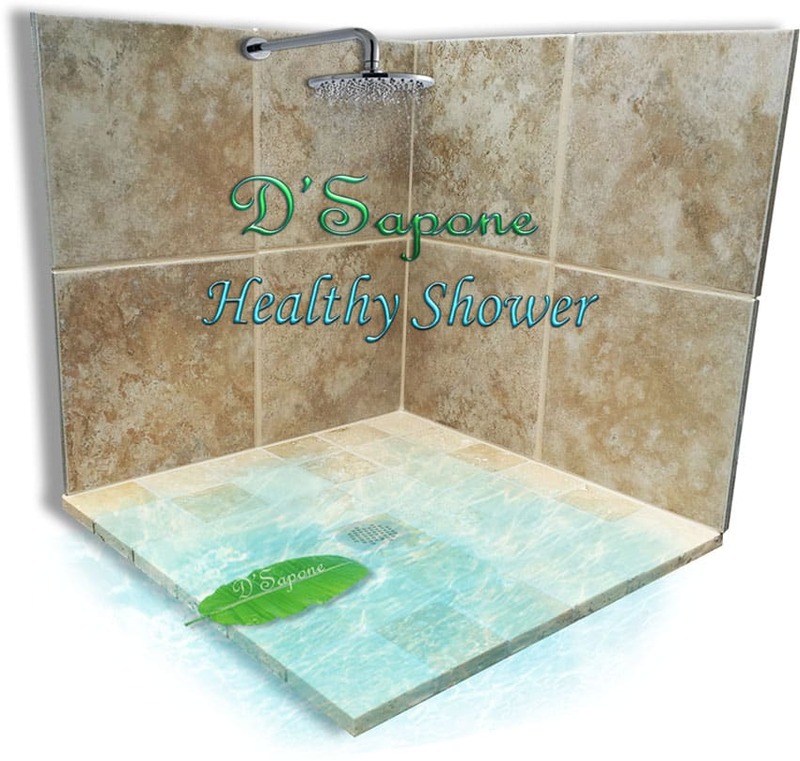 Imagine a travertine shower with no mold and no etching. 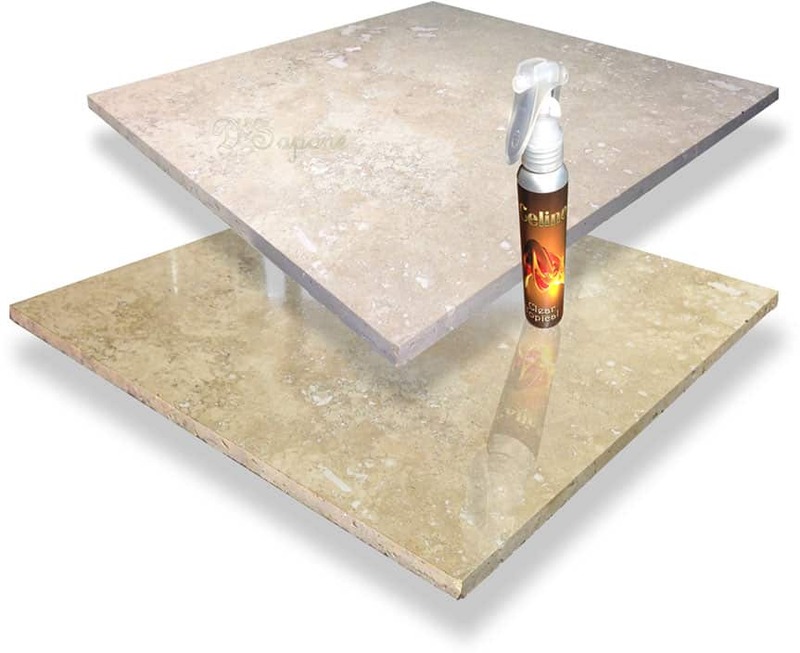 Applying a state of an art sealer is only the first step in keeping your stone immaculate. Top tile (image) is sealed and the bottom is not. Express your style in a whole new way with our travertine polishing process. The biggest issue with stone polishing, etching of the stone shows up, until now. 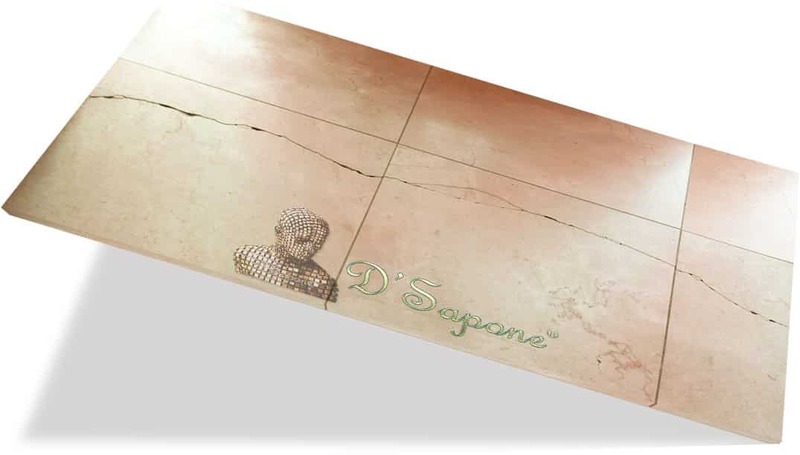 D'Sapone® reinvented the way stone is polished, we started with the protection of the stone afterwards, then we created the process from the inside out. 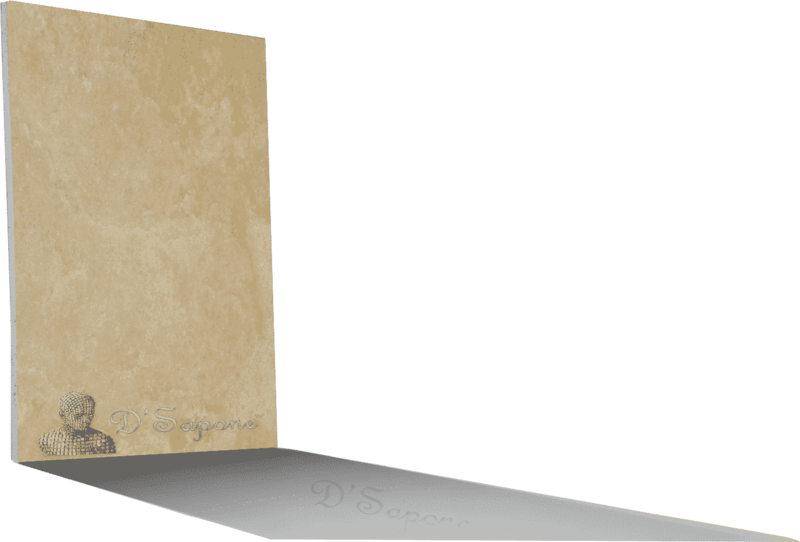 Don’t know exactly what services you may need to restore your travertine shower? No worries, our artists will do and we will put together our “Healthy Shower” process for you. 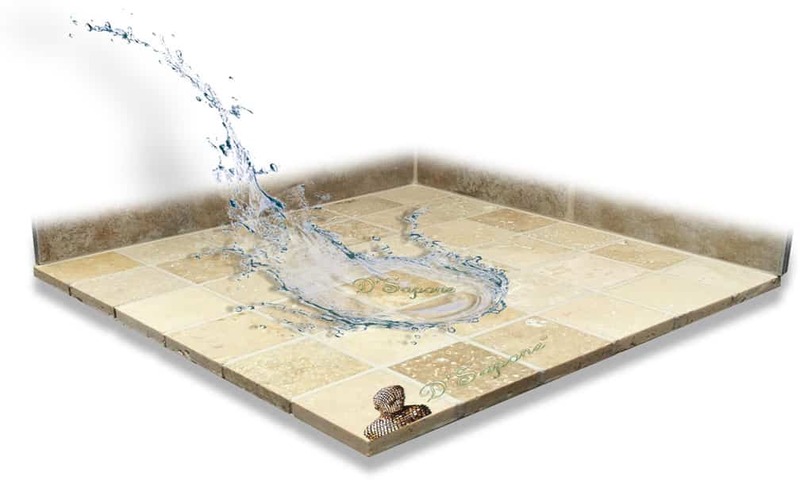 Not only we will restore your travertine tiled shower, we will also warranty our services for 5 years. We are the only company with these technologies and sealers to make it happen. Now there is an entirely new way to receive an estimate for all your travertine restoration needs. Every estimate is assigned to a stone artist, who will complete the entire process. Just simply fill out our estimate form and we will take care of the rest.